The sounds of the Stone Age may have been even less dignified than we thought. 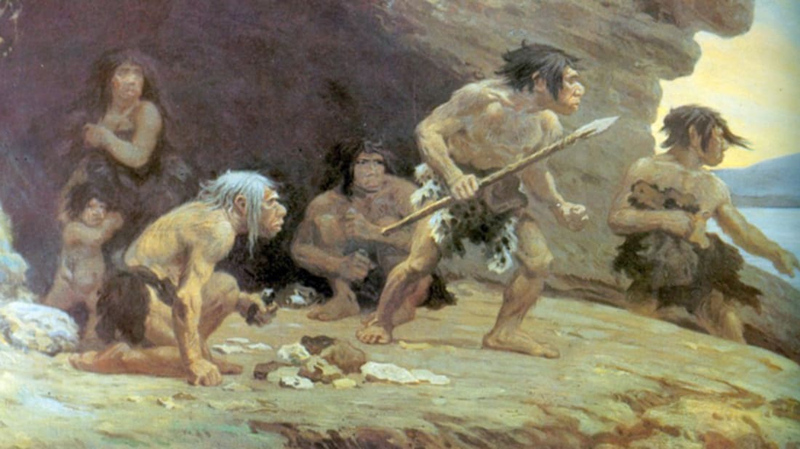 A vocal expert working with the BBC suggests that Neanderthal vocalizations may have sounded less like low grunts and more like high-pitched shrieks. Patsy Rodenburg has dedicated her career to understanding and exploring the sounds we make. As vocal coach for Judi Dench, Ian McKellen, Nicole Kidman, and Daniel Day-Lewis, Rodenburg is used to coaxing round vowels and resonance out of the human body. But Neanderthal noises required something a little different. Working from a Neanderthal’s skeletal remains, a team of scientists created physical and virtual models of our prehistoric relative. They used these to extrapolate measurements and estimates of the Neanderthals’ abilities and traits. They also created a model of a Neanderthal throat and showed it, along with the skeleton, to Rodenburg. She concluded that the shape of the throat, combined with the dimensions of the Neanderthal’s skull and chest, would have produced some very unusual (and “very, very loud”) noises indeed. Check out the video below to see one patient actor re-creating these bizarre sounds.